HYDAC coolers use a combination of high-performance cooling elements combined with high capacity hydraulic driven fan solutions. 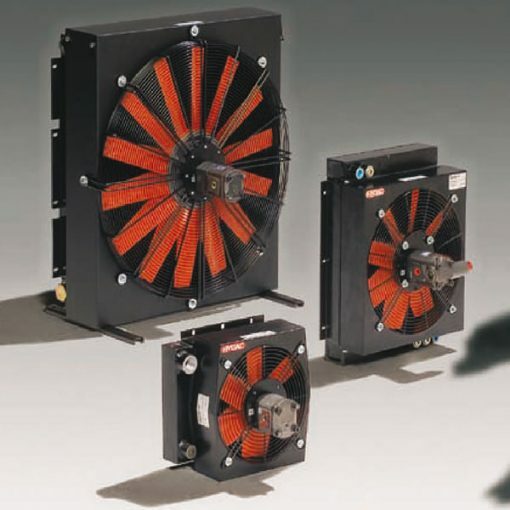 Therefore, long life DC electrical fans provide long trouble-free operation in the mobile hydraulic applications. Moreover, the compact design of HYDAC cooling systems allows to fit in most equipment providing highest cooling performance. So, HYDAC has a series of advantageous solutions, space optimisation and increaser cooling efficiency available. This is in order to comply with legal requirements for noise, fuel economy and emissions (TIER IV).